Wine actually comes in two colors, and neither one of them should be a difficult color to mix as paint. 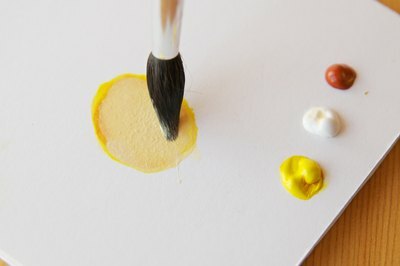 The exact proportions of paints mixed to create these colors depend on the medium (watercolor, acrylic or oil), the quality of the paint, and which hue you're trying to achieve. Since there isn't an official "red wine" or "white wine" color, you may have to experiment a bit to pin down the hue you want. Squeeze onto your palette the colors red, brown and blue. 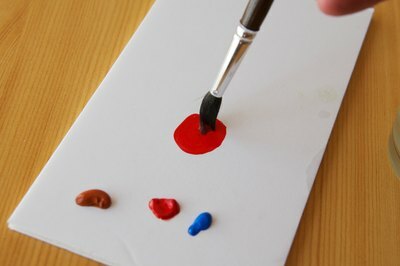 Dip your paintbrush in the red paint and drag some of it to the center of the palette. 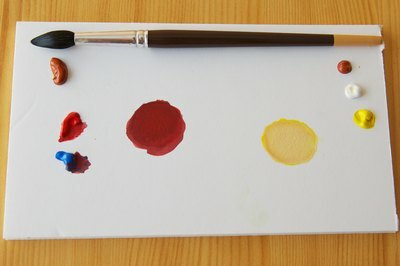 Make a circle in the middle of the palette with the red paint. 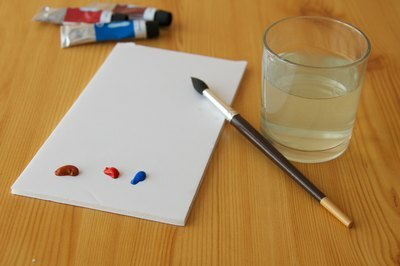 Dip your paintbrush in the blue paint, only picking up a tiny bit of blue--almost as small an amount as you can get. 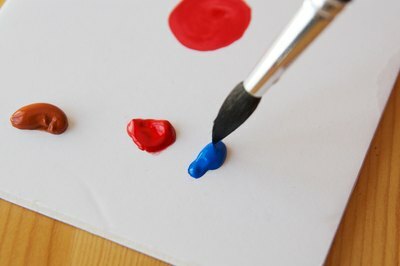 Mix the blue with the red circle in the center of the palette. Dip your paintbrush in the brown paint. Mix in twice as much brown as blue (which will still not be a lot of paint). 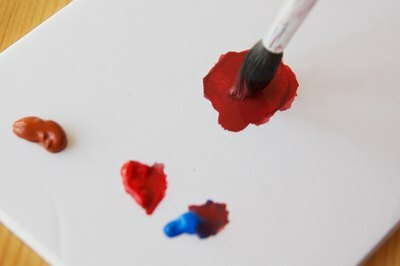 Continue to mix these colors as necessary until the color of the red paint matches the color you're looking for. 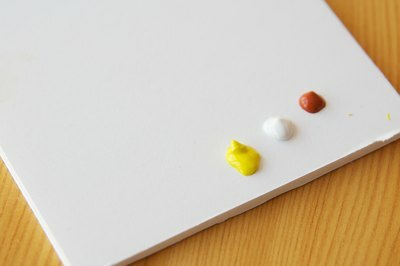 Squeeze yellow, white and brown onto your palette. 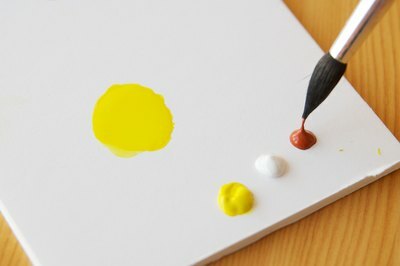 Dip your paintbrush in the yellow paint. 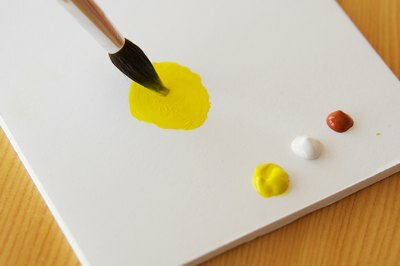 Make a yellow circle in the center of the palette. Dip your paintbrush in the brown paint. 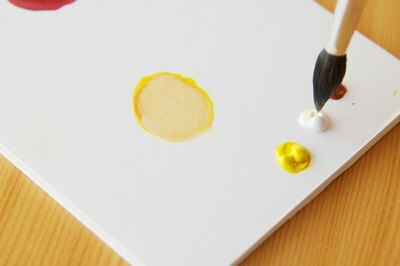 Drag a very small amount to the circle in the center of the palette and mix the brown and yellow together. Dip your paintbrush in the white paint. Drag a small amount to the circle in the center of the palette and mix together. Continue to mix together yellow, brown and white until it matches the shade you're looking for. Note that actual red wine is so dark it's almost black. 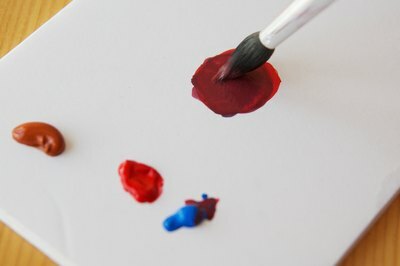 If you're trying to paint red wine in a wine glass, try making two shades of red--one much more red (with less blue and brown) and one closer to black (with more blue and brown). Put the brighter red shade in the center of the wine glass, as if the light were reflecting on the drink inside. 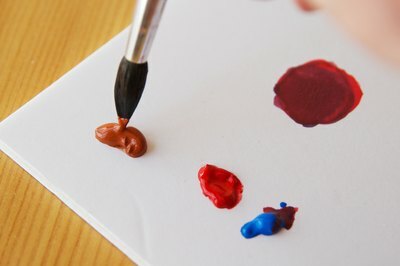 When mixing a darker color (such as brown) with a lighter color (such as yellow), add the darker color gradually, by degrees. The darker color will change the lighter color fast, and it's harder to reverse that process once you've gone too far.